I'm back with another Face of the Day. I don't know about you, but when I'm in a rush, I don't even mess with eyeshadow. 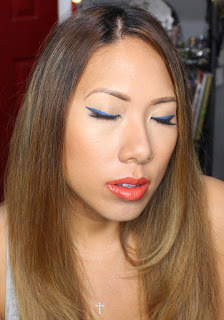 It's all about a winged liner and bold lip - my go to makeup artist look. Here's an interesting twist on that idea with color. Check it out! 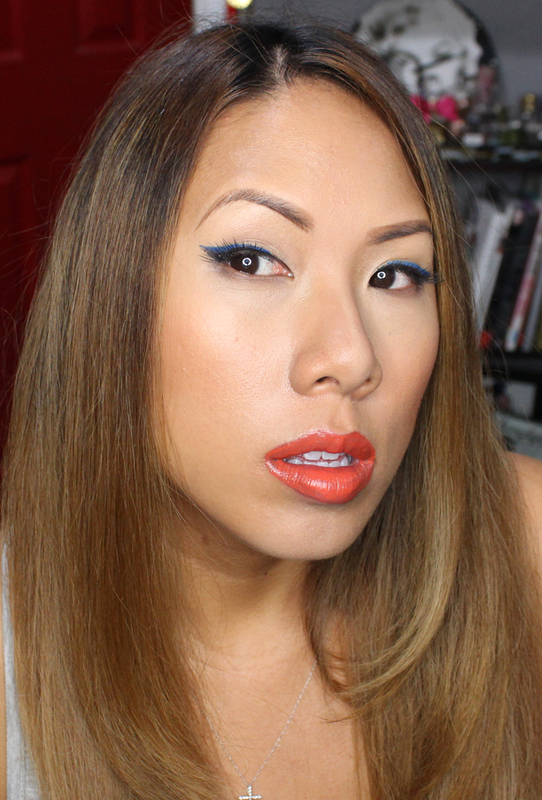 I knew I had a new L'Oreal Infallible Paints Liquid Liner in Electric Blue that I wanted to try. In order to actually see the blue on my monolid eyes, I placed it on top of a black liner so that I had the definition of the black and the color peeking on top. I'm a fan of using color theory to pop. So I decided to pair it with orange, which is the complementary color on the color spectrum. I used L'Oreal Infallible Paint in 320 Cool Coral. Do you ever use color theory to plan your makeup looks? Let me know in the comments below!